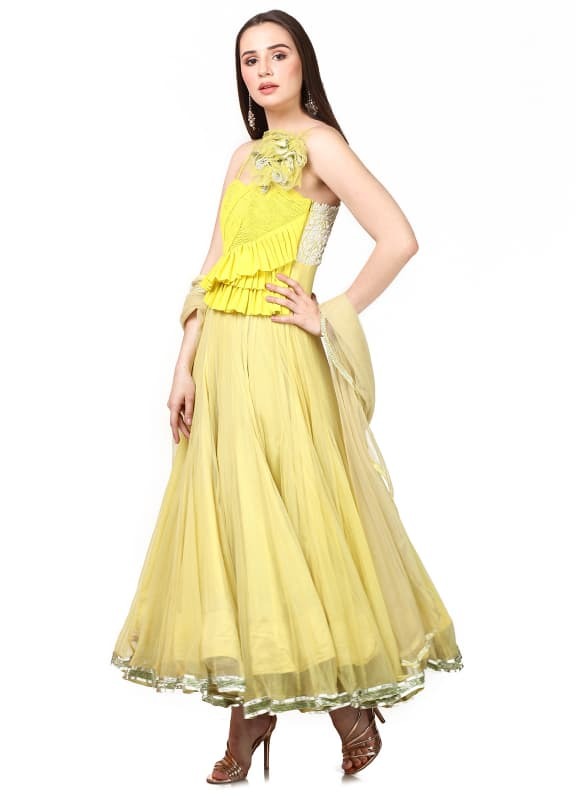 This set features a lemon yellow anarkali in georgette and net base with flower frill detailing. 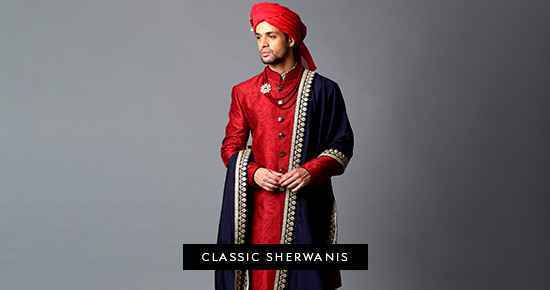 It is paired with a matching lycra churidar and net dupatta. Keep things offbeat this festive season and don this bright ensemble for your next mehendi. Style your look with a pair of Amrapali earrings.